PEOPLE POWER OVER CORPORATE POWER = CANCELED PIPELINE PROJECTS | "Global Possibilities"
A long-standing fight for the public’s right to their land and waterways came to an end April 22 when Gov. Cuomo’s New York State Department of Environmental Conservation denied the Clean Water Act Section 401 Water Quality Certification for the proposed Constitution Pipeline. The pipeline was proposed to run for 124 miles and require the destruction of nearly 700,000 trees. Further, the pipeline would have carried fracked natural gas through the Hudson River estuary, crossing 289 waterbodies, multiple public drinking water sources and three watersheds. There was no expected public benefit from the pipeline. While the pipeline’s proponents alleged they would ship the fracked gas to New England, it was clear that the gas pipes leaving the pipeline’s terminus are all constrained, leaving no other option but to ship the gas to a Nova Scotia LNG facility before ultimately shipping it to Europe and Asia. Thankfully, New York State recognized the applicant’s failure to demonstrate how they would mitigate or avoid impacts to the state’s waterways. This landmark decision in New York was the latest in a flurry of victories over pipeline projects across the country within the past two months. 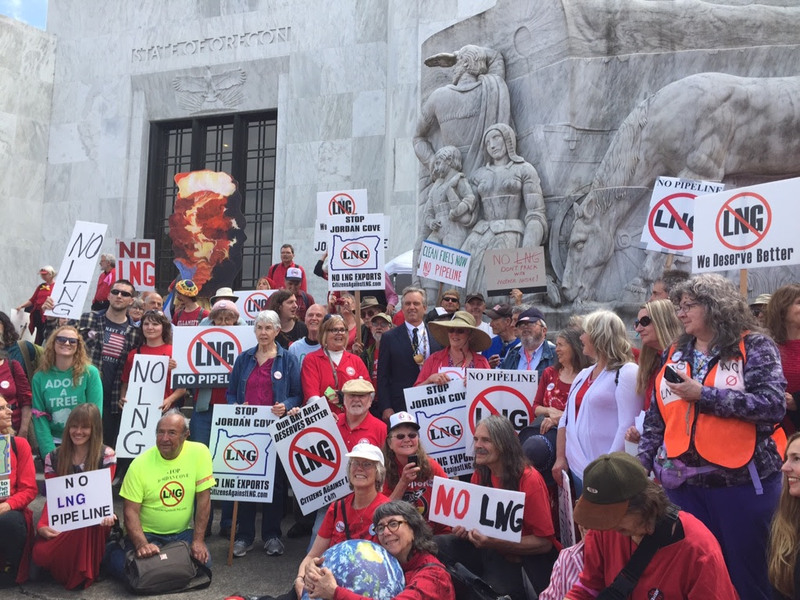 In Oregon, a proposed liquified natural gas (LNG) terminal in Warrenton and the Jordan Cove Energy project were defeated. The Jordan Cove project would have crossed nearly 400 waterbodies, a number of which are critical habitat for endangered coho salmon. Further, the Jordan Cove LNG terminal would have become Oregon’s largest greenhouse gas emitter. Kinder Morgan pulled the plug on its Northeast Energy Direct pipeline and its Palmetto Project. And in Georgia, the legislature moved to block easements for the Sabal Trail Pipeline and Gov. Nathan Deal approved a moratorium that prohibits eminent domain for pipeline companies through July 2017. The common denominator of these victories was the galvanized communities who mobilized and used the power of democracy to subjugate Big Energy’s greed. These communities took back the rights that had been stolen from them when the Federal Energy Regulatory Commission transferred the sacred authority of eminent domain through its outrageous rubber-stamping of permits for expansion of the gas industry. As these pipeline projects threatened to bulldoze land, pollute waterways and destroy communities, people raised their collective voices and used the law to bring about action, proving yet again that democracy is the best safeguard for our water, air and land resources. This is the beginning of a new era. It is a time when the people will demand more for their future, by exerting their collective democratic power and forcing politicians to do the right thing to reclaim our natural resources from the hands of big business. It is this grassroots power that is catalyzing action against climate change. It is this movement that is driving our energy future away from dirty fossil-fuel projects to clean renewables. This is a shift that is imperative if we are to save our home from the destructive impacts of a fossil-fuel carbon overload in the Earth’s atmosphere. These defeated pipeline projects are a testament to the power of the growing bottom up movement for change. They are stories of communities galvanizing around the notion that we must leave polluting fossil fuels in the ground and invest in a clean energy future. Not only are these inspiring tales of David versus Goliath, they are examples of people power over corporate power that we will see repeated time and time again on the road to victory for our climate and and our planet.